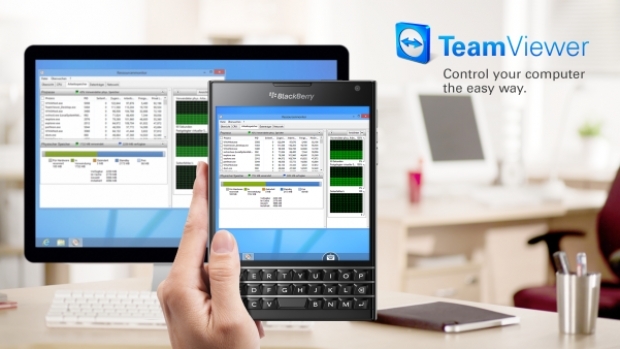 Control your computer with TeamViewer for BlackBerry | BlackBerry Blast! Do you use TeamViewer? I do, and I love it. TeamViewer is a free program that allows you to control another computer over the Internet. TeamViewer has an app for BlackBerry that allows you to control your computer from your BlackBerry. As you can see in the picture above, controlling a computer from your BB Passport is easy. The app is in the BlackBerry World store. Go get it.